This weekend felt like a really quick one. My son had two hockey games, one Friday night and one early in the morning on Sunday. I packed in a lot of errands, shopping, and eating in between! Friday night well before his game we stopped for dinner at Walburger’s. You may recall (but probably not because I barely recall) that we went to Walburger’s last year around this time when they opened a location on Long Island. Walburger’s isn’t anywhere near our house (way further out east on the island) but we were out in that direction for my son’s dentist appointment. Anyway, the food. I had forgotten that Walburger’s doesn’t offer a veggie burger. 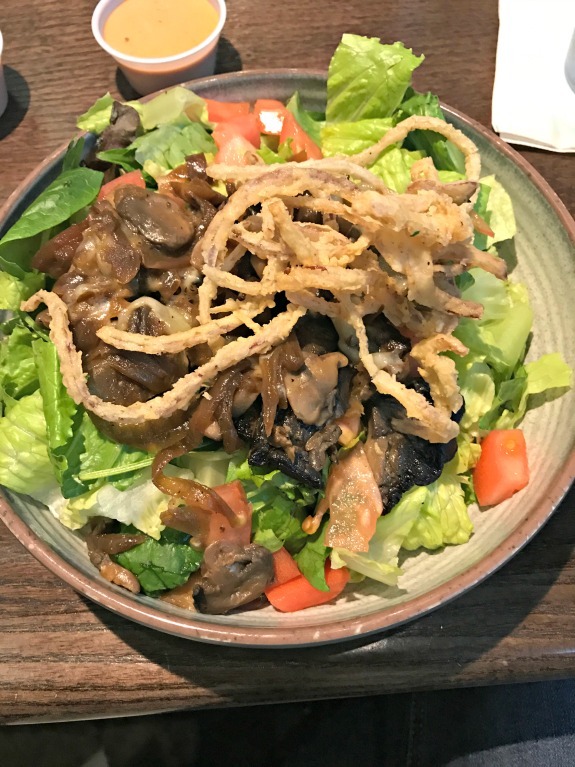 While I don’t even understand how they don’t have a veggie burger by now, I made it work with the Portobello mushroom “burger” offering on a salad. I don’t know, it doesn’t really look like this little bit of mushroom could have been a big mushroom that is typically used as a burger. We ordered a side of the onion strings (you know I love onion strings!) and I kept adding them to the salad to make it more interesting. 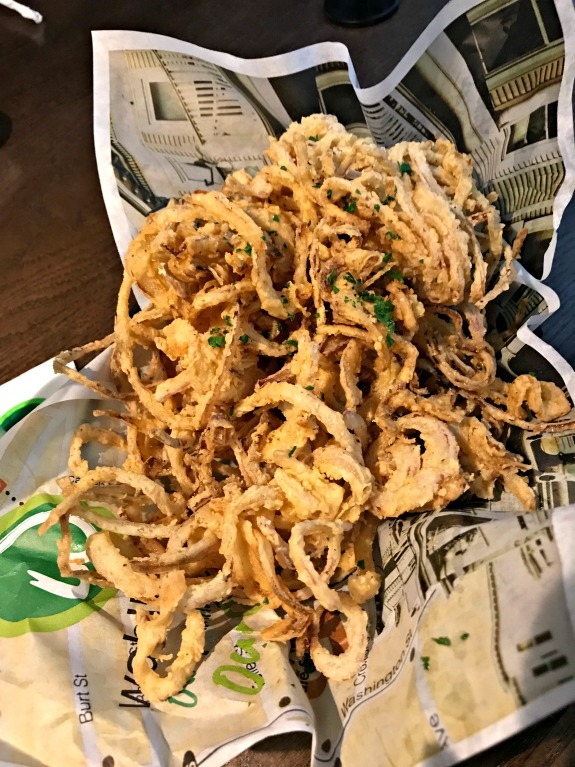 These onion strings are definitely addicting. Saturday afternoon I went to the mall to get some Hanukkah shopping done. My son and I will be away next weekend (BOSTON!) so this weekend was really my only attempt at browsing and shopping before Hanukkah begins December 12. 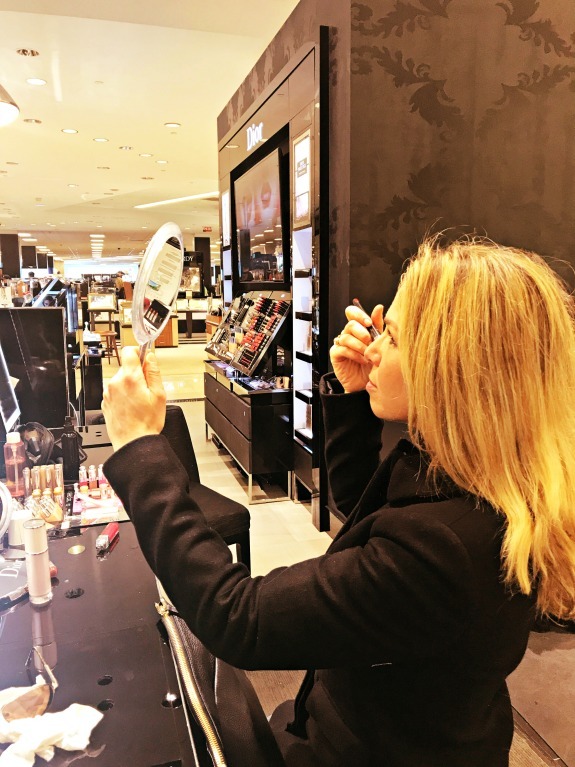 What I wasn’t expecting was to get treated to a facial when I popped into Bloomingdale’s to pick up my pre-sell from Dior. Jill, my favorite Dior makeup artist, asked if I had time for a Dior facial with their esthetician. Um, sure! I don’t schedule facials often so it was really nice to lay there quietly for an hour while my face received a ton of attention. 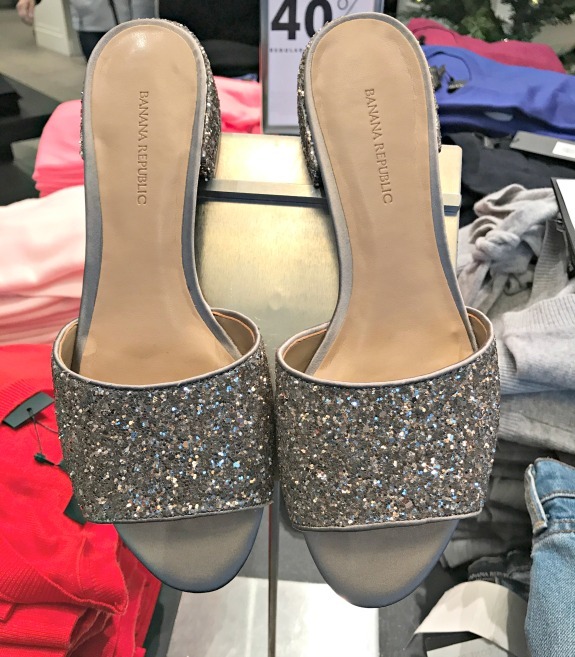 So I spotted these glitter slides (of course I did, I have an eye for glitter) at Banana Republic. I love the low heel, I bet these glitter slides are really comfortable! Check out these Vintage Taupe Pumps with the glitter heel too. O-M-G love. And wait, this glitter pouch has a built-in charger! It’s so perfect to keep in your bag when you travel, have a long day at work, or are out and about and don’t want to worry about a low battery. I want to update last week’s Gift Guide to include this! I’m trying to remember how we ended up out for pizza Saturday evening. Oh right. 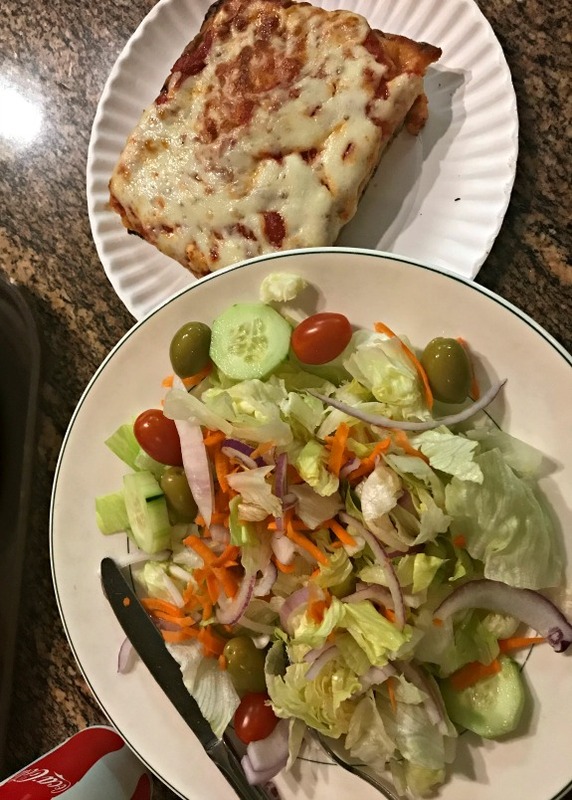 I stopped for a manicure before picking up my son and pizza became the dinner of choice. Sunday was an early day. I always thought I was a morning person but I think I’m only a morning person when early morning’s are my choice, not the sports team scheduler’s choice. I somehow squeezed in a 45 minute Pure Barre workout before getting us to hockey. After hockey, we schlepped home (THE KID NEEDS A SHOWER AFTER HOCKEY), back out for food shopping and then I brought my son to his friend’s house to watch football. I ran a few errands on my own including a stop at Target to pick toys to donate to Toys For Tots. It wasn’t an easy decision but I went with the toys that I know all kids like to receive. To make a donation to Toys For Tots, use this link to find a location near you. Sometimes I forget where I see the Toys For Tots donation bins so this link was a huge help in reminding me of the locations near me. And now it’s Monday again. Wishing us all a great week! Are you still doing your holiday shopping? What do you have left to buy? 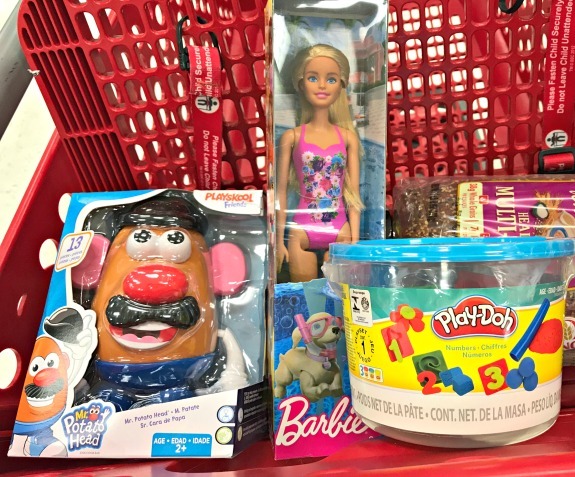 Do you donate to Toys For Tots? Have you ever had a facial? How often do you go? This past weekend really did fly by, but it was still enjoyable! I’m working on my holiday shopping for friends and family and should be done soon… but ya never know. I think its great that you do toys for tots, its such a great organization this time of year! such a great organization, I love to give toys for the kids this time of year! My husband plays club hockey. There is nothing worse than the hockey smell. And it LINGERS. Showers are a necessity and I won’t even let him bring his bag inside. How can a sport played in the freezing cold stink like that? OMG the smell from the gear is SO BAD! I won’t allow the bag in the house either! But wait – my dad just saved the day by discovering if we place dryer sheets inside the gear after use, it will absorb the smell. we tried it this weekend and I swear it is working!! All I have left to buy is a few gift cards and teacher gifts! Yay! We usually do an angel tree donation. It’s been years since I’ve had a facial, but that sounds wonderful! I am getting a massage today, which I’m 1/2 looking forward to and 1/2 dreading because my muscles are beyond tight and sore! Yay! Congrats on a great race! I was wondering how it went for you so thank you for telling me! Did you happen to see Laura? Hope you enjoy your massage! 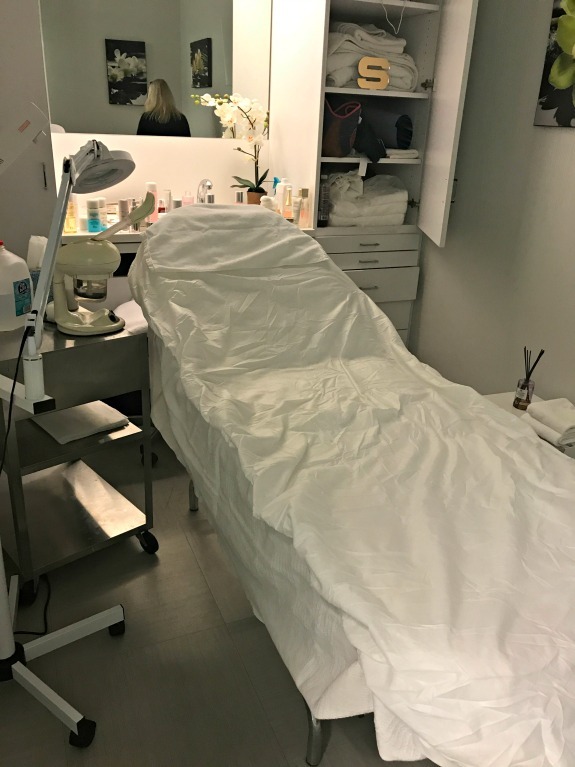 A facial sounds like the perfect treat before your weekend in Boston and Hannukah. I think you picked some good donations for the kids. Keeping it simple is the way to go in my opinion. Ive done all my shopping online and Im close to being done. Im sure I will realize i need more stuff for people but it feels good to have the bulk of it done. I don’t think Ive had a facial in about 10 years! I love the you donate for Toys for Tots. What a fantastic cause. Also I would have said yes to the facial too. It sounds kind of like heaven. The onion straws make up for the last of the veggie burger.